This mom only had one cub. 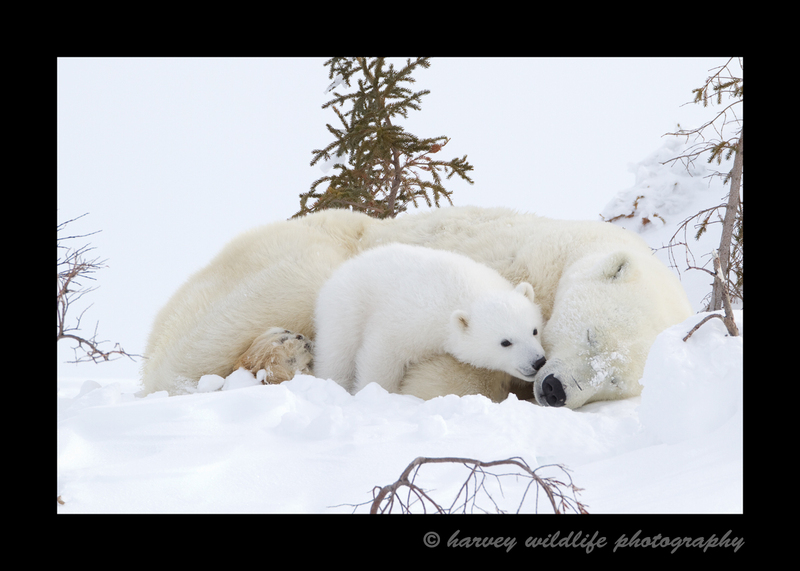 Because the cub didn't have to share milk with any siblings it was much larger than cubs of this age usually are. While on safari WWF and ABC news spent four days with us, interviewing the guides and videoing the lodge etc. The following clips are the results of that footage. The video on the left is compliments of WWF. On a very cold -45 degree day we waited outside this den for 8 hours to no avail. Finally when we started packing up, the cub came out. By this time most of the photographers had already packed up their gear. The WWF videographer hadn't packed up yet and was rewarded by this great video.